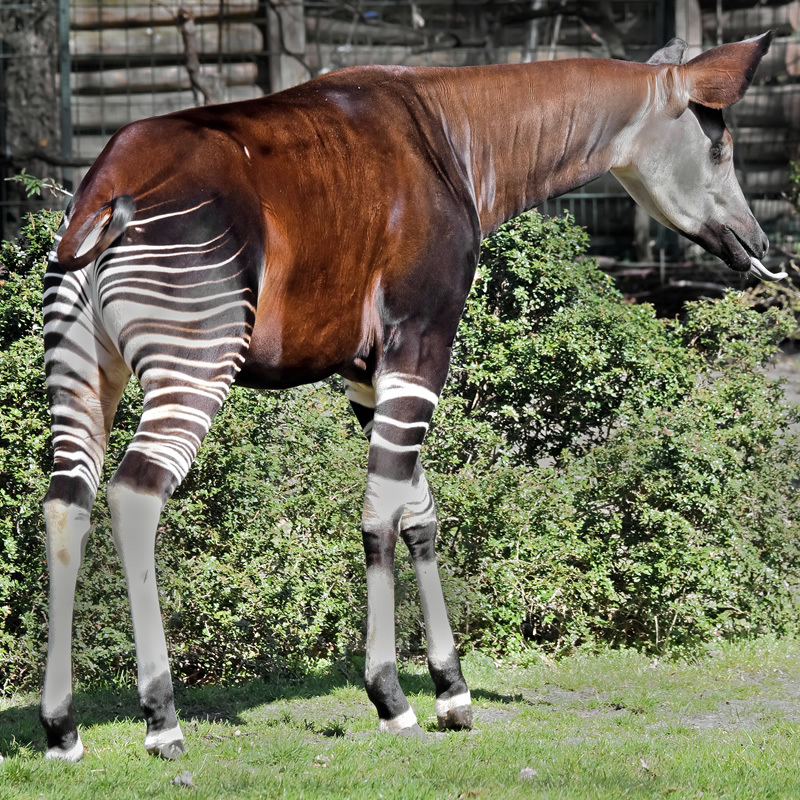 The Okapi is located in the rainforests of Congo in Africa. Okapis eat shoots, buds, grass, fruit, fungi and leaves. Okapis live in the clearings and forest areas of the rainforest that are not dense with foliage. Okapis weigh approximately 460 - 650 lbs. They will grow to be approximately 6 - 8 ft. in length and are about 5 - 6 feet in height. Okapi have a reproduction period of approximately 14-15 months and give birth to a single infant.